Fluoridation: what about reports it is ineffective? Anti-fluoridation activists are always making claims that fluoridation is not effective. Even sometimes claiming that children in non-fluoridated areas have less tooth decay than those in fluoridated areas. And they will sometimes cite, or link to, scientific papers they believe support these claims. It’s always worth checking out such claims. Check the paper, find out what it does actually report and what other factors are involved. We should approach the scientific literature intelligently and critically – not cherry pick to support our confirmation bias. Here is an example of a paper promoted by Declan Waugh purporting to claim that dental health is a result of “social class” and not influenced by fluoridation. The paper is Colquhoun, J. (1985). Influence of social class and fluoridation on child dental health. Community Dentistry and Oral Epidemiology, 13(1), 37–41. Of course, the role of social economic status in oral health is well known so I am not questioning that. But can that paper actually be used to prove the claim that fluoridation is ineffective or that fluoride does not play a role in oral health? Colquhoun found no statistical difference in the caries-free percentage of children in fluoridated and non-fluoridated areas around Auckland when areas of “similar social rank” were compared. And of course anti-fluoridation activists like Declan Waugh pounce on that finding – which is supported by the data. But what other factors are involved. This information is vital to the conclusion. Colquhoun had allowed for the “socioeconomic variable” but had not allowed for the different dental treatments of the two groups of children. The fact that all children of non-fluoridated areas were receiving 6-monthly topical fluoride applications and most children from fluoridated areas were not is an important factor. Maybe Colquhoun’s paper can be used to argue that other fluoride treatments may be as effective as community water fluoridation – but his data certainly does not support the claim that fluoridation is ineffective. I guess there was a bit of confirmation bias on Colquhoun’s part – but certainly cherry-picking and confirmation bias on Waugh’s part. Community water fluoridation is only one of the ways to improve oral health using fluoride. Regular brushing with fluoridated toothpaste, fluoridated salt or milk, and regular fluoride dental treatments also work. These other sources and treatments should always be considered when evaluating this sort of data. An intelligent and critical approach to the scientific literature means we should always keep this in mind when reading papers like this. And we should never take the claims made by activists like Declan Waugh at face value. You wrote: Colquhoun found no statistical difference in the caries-free percentage of children in fluoridated and non-fluoridated areas around Auckland when areas of “similar social rank” were compared. Colquhoun looked at the entire nation and 80,000 children and not just the area around one town. David, check the paper – it is referenced and linked. It used stats from Auckland City and “a wider geographic area.” These were from Health Districts neighbouring Auckland. The important issue, in this paper, though is that NZ children from non-fluoridated areas received 6-monthly dental fluoride treatments whereas children from fluoridated areas did not. This makes simple comparison meaningless for judging the effectiveness of community water fluoridation as there is no proper control. David Colquhoun cites several studies, including his own findings [2,3], which purportedly show that water fluoridation has no significant beneficial effect in reducing caries prevalence. When comparisons are made between fluoridated and non-fluoridated communities in a properly designed research study, examiners are standardized and calibrated to agreed-upon criteria for diagnosis. However, Colquhoun’s data were not recorded for this purpose, as he simply took from school dental clinics the treatment records, in which caries diagnoses were not standardized. The examined children were treated by different school dental nurses, who were untrained in epidemiological survey methods, not standardized in their interpretation of diagnostic criteria, and not calibrated to an expert examiner in their examining techniques. The examiners were likely to have had their own criteria for what constituted a cavity and what teeth required restorative care. Worse still, Colquhoun made no effort to ensure that the children actually resided in either the fluoridated and non-fluoridated communities, but analyzed the data simply on the basis of the district in which the school was located, not where the child lived. Subsequently, it was shown “that 38 percent of the 12-13 year-old children who attended school in Onehunga, the low social class area described by Colquhoun , actually lived in high social rank areas in Auckland, districts that received fluoridated drinking water. This confounding of residence and fluoride histories produced serious misclassifications and severely compromised Colquhoun’s data, and hence his conclusions” . IS everyone here speaking about the same product? Seems to me there is fluoride and there is ” artificial fluoride.” I really haven’t seen where anyone has questioned that if topically applied this will cause any harm. What I would like to know is with the neurotoxic artificial fluoride what damage will it do to us systemically, given that in each country which is fluoridated artificially; the product can contain several contaminants which are high on the list of poisons not prescribed for human ingestion. Should we not have a choice or at the very least, Governments consider the precautionary principle? Sandra, could you explain what you think the difference is between “fluoride” and “artificial fluoride”? Currently in our city the drinking water contains about 0.2 ppm (peaking at 0.6 ppm) F as the hydrated fluoride anion. In a few weeks when fluoridation restarts it will contain 0.7 ppm F as the hydrated F anion. Now I am a chemist and can assure you there is currently no known way to tell the difference between the F anions currently present and those present after fluoridation restarts. If you know of a method please pass it on – there may be a Nobel Prize in it. There is no convincing evidence that F is neurotoxic at the optimum concentrations used. (See Repeating bad science on fluoride for comments in the paper you may be considering citing). As for contaminants in water treatment chemicals have a look at Fluoridation: putting chemical contamination in context. fluoride is fluoride, an ion of fluorine. There is no such thing as artificial fluoride. How the world “seems to you” may not reflect reality. Where do these people come from? The anti-fluoride movement attracts some genuinely strange people. Fluoride works topically, all agreed. Why drink it? No Jeanie, the science does not agree with you. 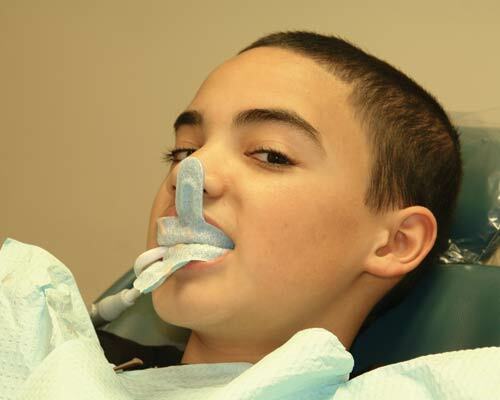 Read Ingested fluoride is beneficial to dental health. What has your comment got to do with the article above?